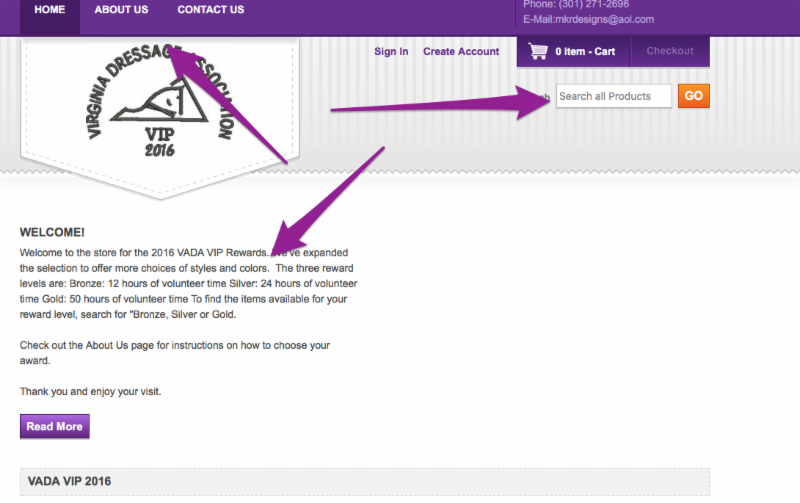 VADA VIP Logoshop – Order your Rewards for being a VADA Volunteer VIP Today! Welcome to the 2017 VADA VIP Program! The new VADA VIP logoshop is live, allowing VADA members who have submitted their volunteer hours to select their volunteer gifts online. Below is a quick tutorial on using the new site. Some general information: In order to be eligible for a VIP award you must have volunteered at the state level, as opposed to the chapter level. Qualifying events include the Chapter Challenge, the Awards Banquet, Dressage at Lexington, and the VADA Fall Show. 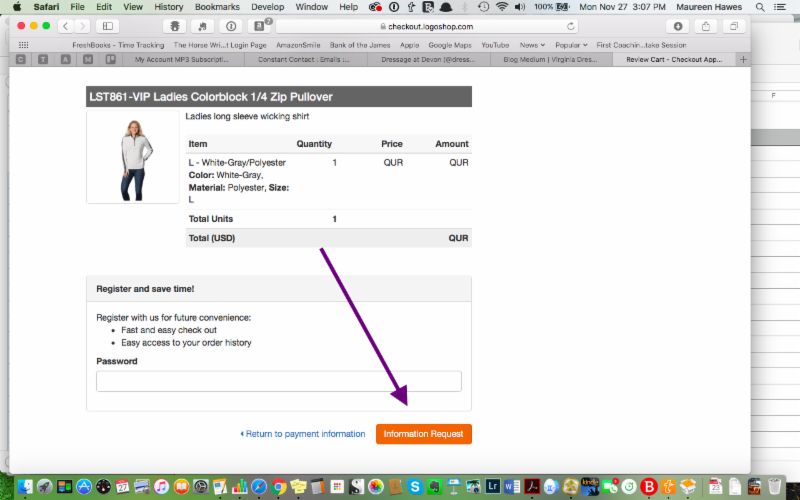 You can access the VADA VIP Logo shop by clicking HERE. 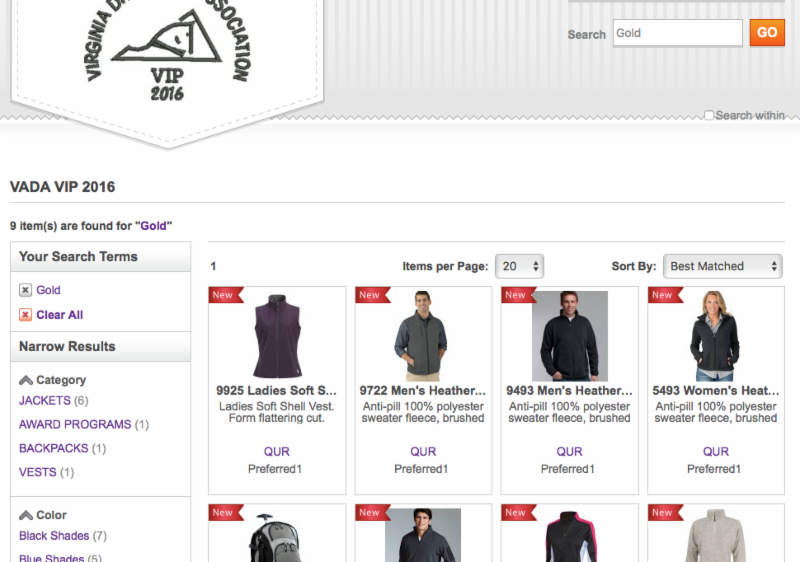 Once on the VADA VIP Logoshop page, enter your VIP level (Bronze, Silver, or Gold) in the search box on the upper right side of the page. Find more instructions under the Welcome and on the “About Us” tab. Once you’ve selected your level, the items available will be displayed on the screen. Click your item to choose. 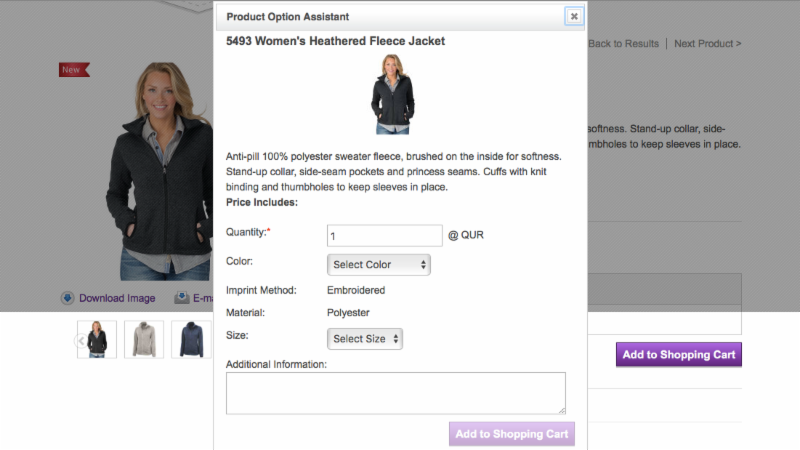 When you’ve selected your item, click the purple “Add to Cart” button and a pop up will appear where you choose your size and color. 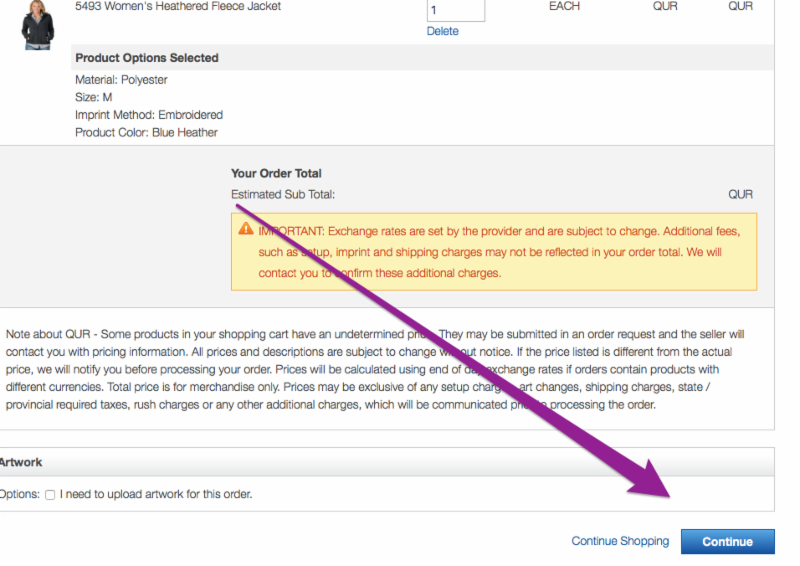 Click “Checkout” on the top right hand corner of the page, and you’ll be taken to a page to review your order. Confirm all the details are correct, then click “Continue” on the bottom right hand corner of the page. You will then provide your contact information. Again, click the continue button. On the next page, check that all of your information is correct, and click on the orange “Information Request” button on the bottom right of the page..
Feel free to email me (Penny Hawes) orMary at MKR Designs if you have any questions about the ordering process, color availability, sizing, etc. We’ll be happy to help!